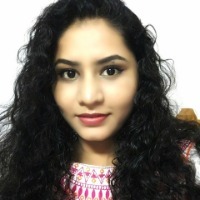 Blog Reviews | Sonam Sahid Khan - Please review my blog which is all about beauty and lifestyle. Please review my blog which is all about beauty and lifestyle. Sonam Sahid Khan would like you to review his/her blog. My blog is all about beauty and lifestyle. I share my reviews on products that I have used and my way of living a better lifestyle. Do review my blog and suggest me if I need any changes, as I'm totally new to the blogging world.